SR 56 to Markland Pike, L on Bether Ridge, Rt on Beatty Ridge, Rt on Miller, Rt on Gnoose. 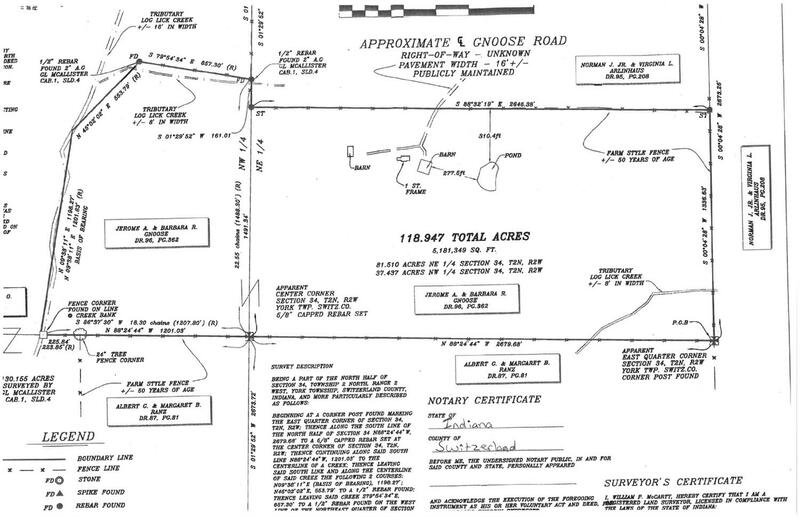 Property at end of Gnoose. Acreage abounds with 2 barns, pond, fenced pastures, water, sewer, views over to Kentucky! Serene private setting. Tillable acres currently farmed. NOTE: This property was sold on 11/20/2018 and is no longer available. The details listed below are believed accurate to the date of the sale and are subject to change.